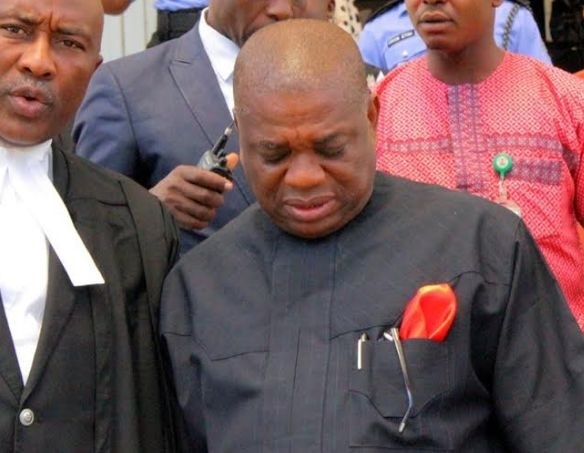 Justice Muhammed Idris of the Federal High Court sitting in Ikoyi, Lagos, on Tuesday dismissed a no-case submission filed by a former governor of Abia State, Orji Kalu, in his bid to stop his trial over an alleged N3.2bn fraud. Kalu, who is now a member of the ruling All Progressives Congress, alongside his former Commissioner for Finance and Account, Jones Udeogu, and a company, Slok Nigeria Limited, are being prosecuted by the Economic and Financial Crimes Commission, EFCC, on an amended 39-count charge bordering on money laundering to the tune of N3.2bn. The EFCC, through its counsel, Rotimi Jacobs, SAN, had, on May 11, 2018, closed its case against the defendants, after the conclusion of evidence given by a prosecution witness, Chidi Chukwuka , Deputy Director, Nigeria Deposit Insurance Corporation, NDIC. During the proceedings, the prosecution counsel also moved an oral application to amend the charge against the defendants in view of the evidence given so far. However, the defence led by Awa Kalu, SAN, had, on May 28, 2018, filed a no-case submission on behalf of their clients, which they subsequently adopted as their written address. In his short ruling on the no case-submission today, Justice Idris held that the prosecution had established a prima facie case against the defendants based on the evidence against the defendants. The Judge also held that there was a link between Kalu and the two others. “You have explanations to make,” the Judge said. 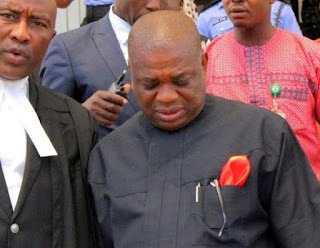 Following the ruling, one of the defence counsel, Goddy Uche, SAN, informed the court that the lead counsel to the defendants, Awa Kalu, SAN, had written to notify the court that Kalu has an appointment to undergo a surgery abroad. He, therefore, prayed the court to adjourn the matter to September 10, 2018 to enable the first defendant, Kalu, to open his defence. Consequently, Justice Idris adjourned the case to September 10, 2018 for the defendants to open their defence.